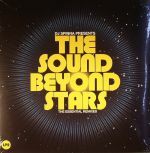 Review: Looking back over 20 years in the game, Spinna handpicks some of his favourite re-rubs and reversions for The Sound Beyond The Stars, a retrospective issued through the trusted hands of BBE. The full album contains 18. four of which can be found on this stunning gatefold double 12"... From the psychedelic spirals and soulful yearns of "Without Your Love" to the overwhelming warmth, depth and length of the 13 minute long synth-focussed take on Animal House's "Dirty Mind", Spinna's signature is deeply scribed into each reversion with serious soul sentiment. Review: DJ Spinna is known for many things; his productions, sublime DJ mixes and many a hip hop classic as half of Jigmastas. He's also a complete Stevie Wonder obsessive who runs a popular Stevie-themed club night called Wonderful. 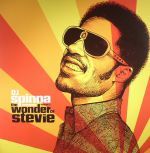 A series of albums that expand on the party's concept was a logical next step and The Wonder Of Stevie now arrives at a third volume. This edition has clearly been painstakingly curated by Spinna and BBE, consisting of other people's covers of the man's work. Highlights include sweet and sugary 'Buttercup" by The Jackson 5, the bluesy honky tonk jam "It's My Pleasure" by Billy Preston and Quincy Jones' pure liquid funk version of "Betcha' Wouldn't Hurt Me". Review: It was way back in 2008 when Dave Jones AKA Zed Bias joined forces in the studio with U.S hip-hop and house legend DJ Spinna and Manchester soul songstress Fyza. 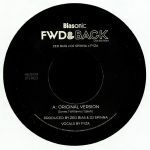 For one reason or another, the resultant track, "FWD & Back" was never released. Having recently rediscovered it on an old hard drive, Jones has decided to release it on Biasonic. 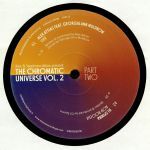 The seven-inch contains both vocal and instrumental versions, with the former hitting home hardest thanks to Fyza's fine vocal, which reminded us a little of classic broken beat cuts by Bugz In The Attic and Neon Phusion. Musically, the backing track doffs a cap to those West London acts, too, as well as Jones' soul-fired bruk-up project for Hospital Records, Phuturistix.